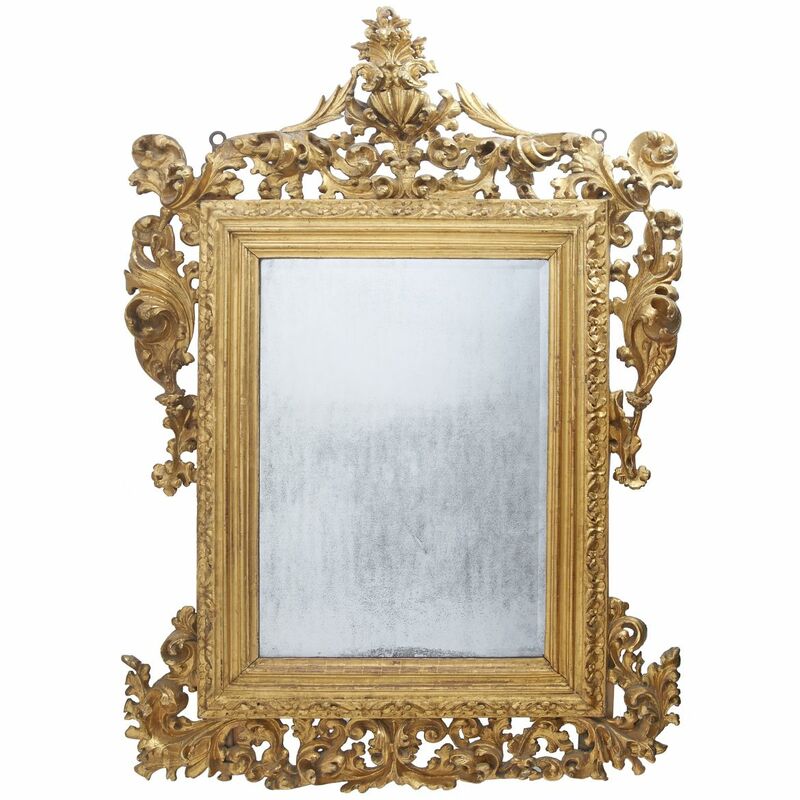 Large and impressive carved Giltwood mirror. The rectangular stepped frame adorned with abundantly carved foliate decoration. Italy mid 18th century.